Each seal is individually packed. Peel back and dispose of seal. Grip the peel tab with one hand and using the thumb of your other hand, gently rub the edge of Siltac seal away towards the center of the blister. Carefully pull the seal from its pack. The seal may stick a little to the package, but should not tear. Make sure your skin is dry before applying! Siltac silicone seals will not stick if the skin is wet. Stretch the seal around your stoma to form a secure fit. Allow the Siltac silicone ring to retract around your stoma to form a seal. It is designed to conform and seal around any shape stoma, so there's no need to mold or shape it. Once sealed around your stoma, gently press it onto the peristomal skin surface. You can now apply your ostomy barrier and pouch. 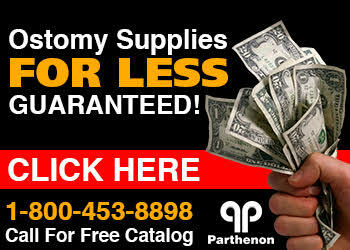 Shop Trio Healthcare Ostomy Products Now! When removing your pouching system, Siltac will peel off with the wafer, or if not, it will peel from the skin in one piece leaving no residue.